Woman 37 yo with history of sore throat and changed speaking. 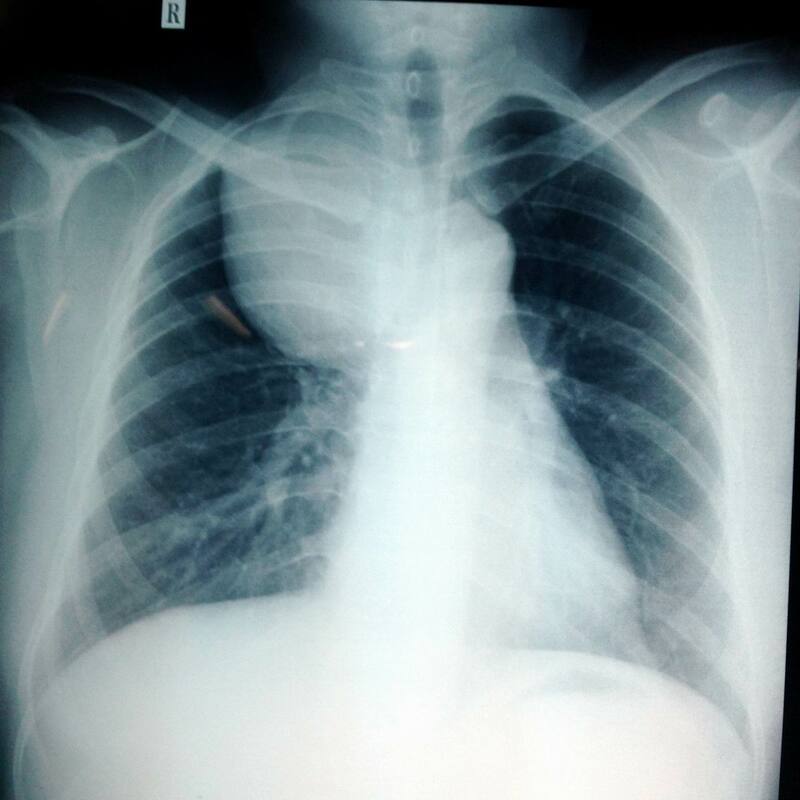 Chest X-Ray detected one mass at upper pole of right lung (chest x-ray film). 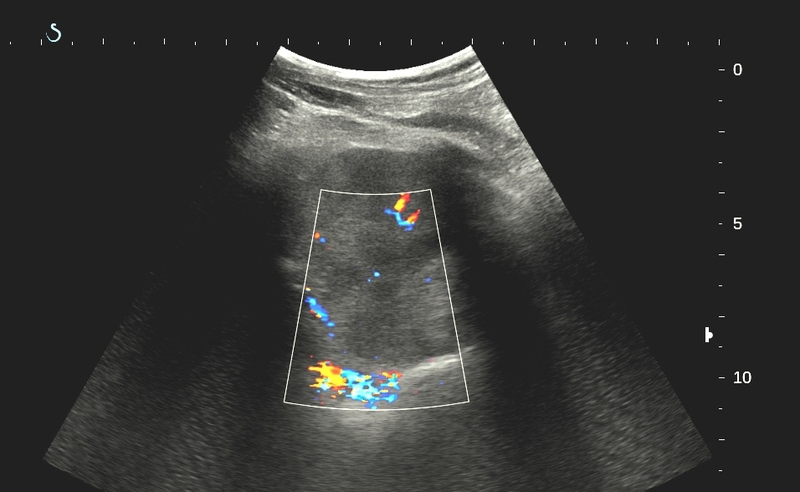 Transthoracic ultrasound of this mass revealed a solid hypovascular mass, size of 10 cm, no moving with respiration. 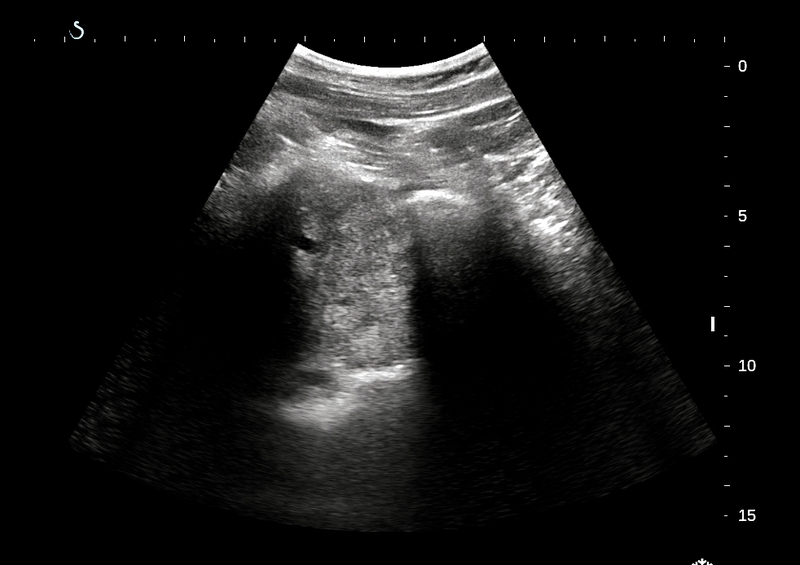 Thyroid ultrasound scan was normal but the right lobe was smaller than left one. 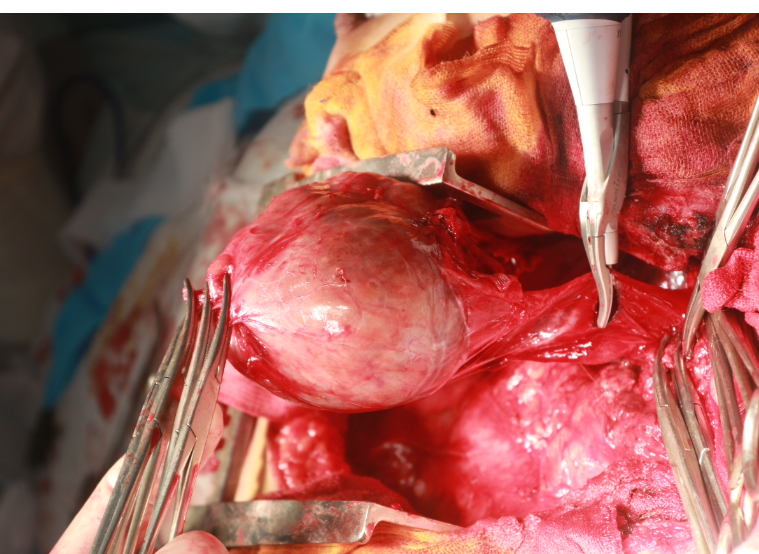 MSCT angio in cervico-thoracic region showed mass in connecting with right thyroid lobe. 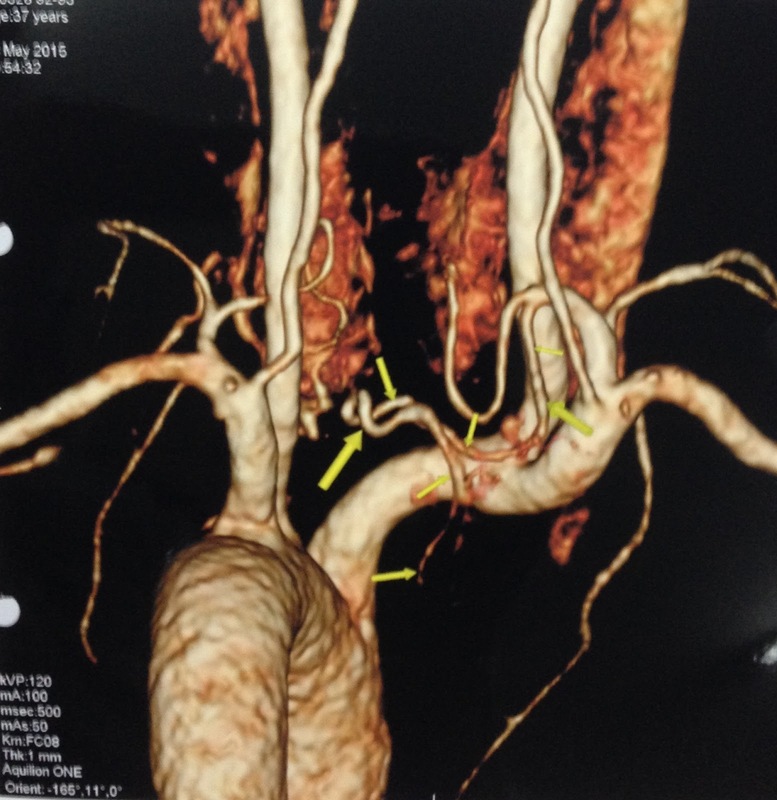 Main vascular supplying for this mass was from branch of inferior thyroid artery (see CTA). 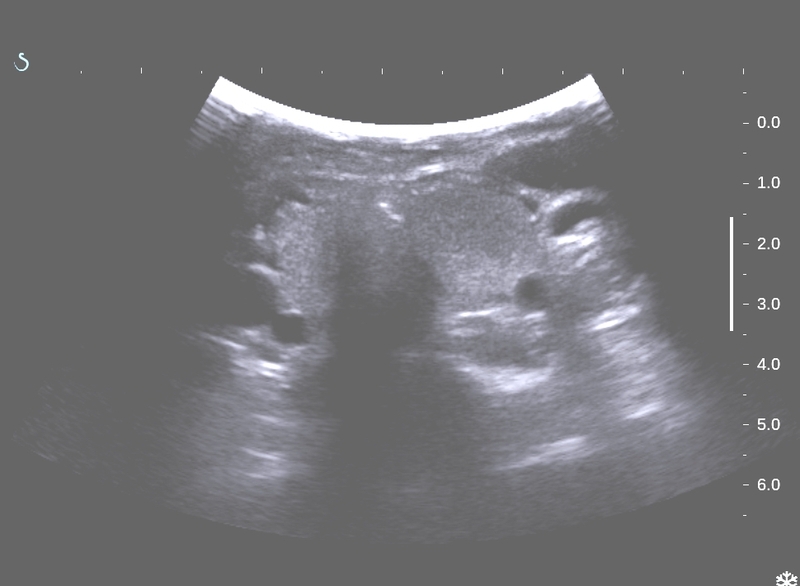 structure was inhomogeneous and pathology report was colloidal thyroid goiter. 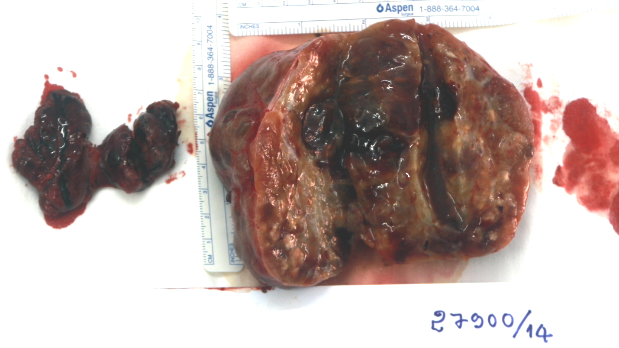 Conclusion: this case was an intrathoracic goiter while on chest X-Ray film looked like lung tumor.